After a failed attempt to wake the kids up for an early morning breakfast at 7:00am the day before, we had no choice this time around. You see, we had to switch our itinerary around to accommodate my "camera" incident. Yes, my trusty DSLR bit the dust and there was no way we were gonna complete the trip without one, especially since I lugged a telephoto lens all the way down here. The day before, we were supposed to head to Sea World for a day of fun and pictures. Well, I had to switch it to the following day so I could head to a local camera store to get a replacement. The problem with the switch of days would be that our visit to Sea World would be on a Saturday. Great. The crowds... So we woke up the kids early and headed out for breaky at 7:00am in order to get to the opening time for Sea World. Imagine the joy in that exercise. Well, at the very least, we could hit one of the places which hung in the balance. 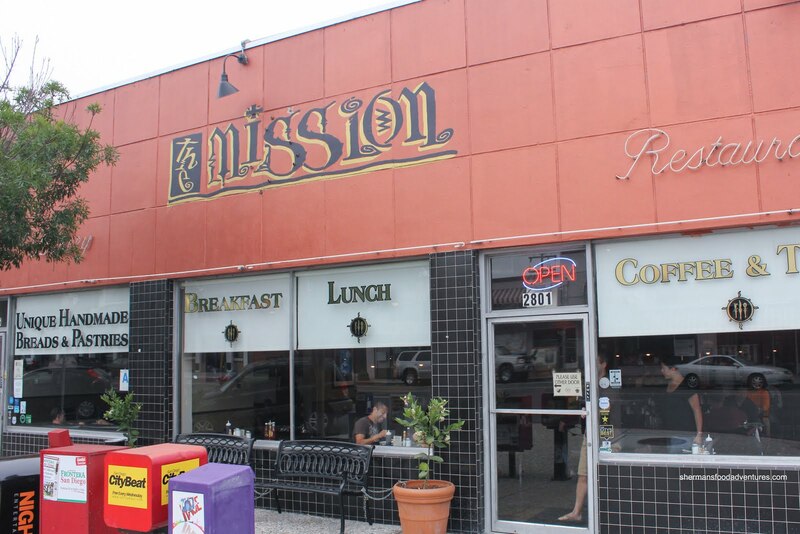 The Mission was another one of those "popular" places which came with a side of long lines. Aha! Get there just after opening and voila, no lineup! With a bit of research in hand, we knew what to order. T he Mission French Toast was a must apparently and Viv did the honors. The fresh baked cinnamon bread on a palette of berry puree was beautifully presented and of a large portion; however, Viv thought there was too much cinnamon. 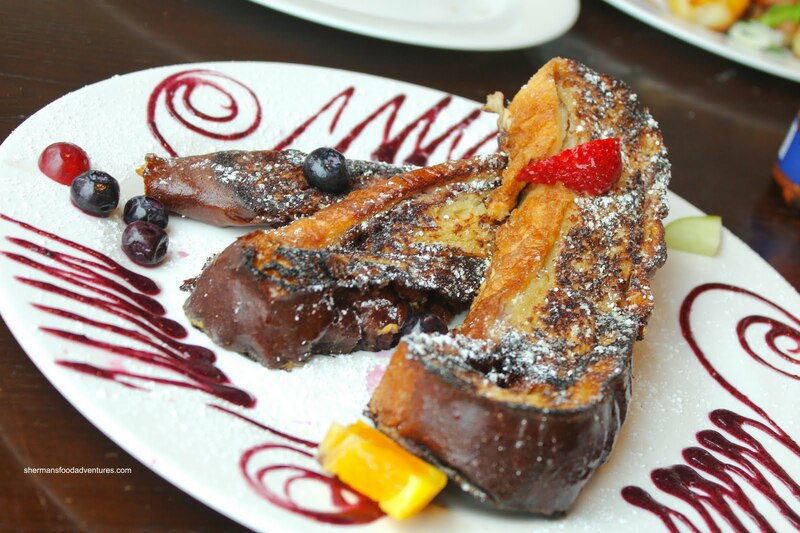 However, the blueberry coulis rocked which made it a unique and good French toast. 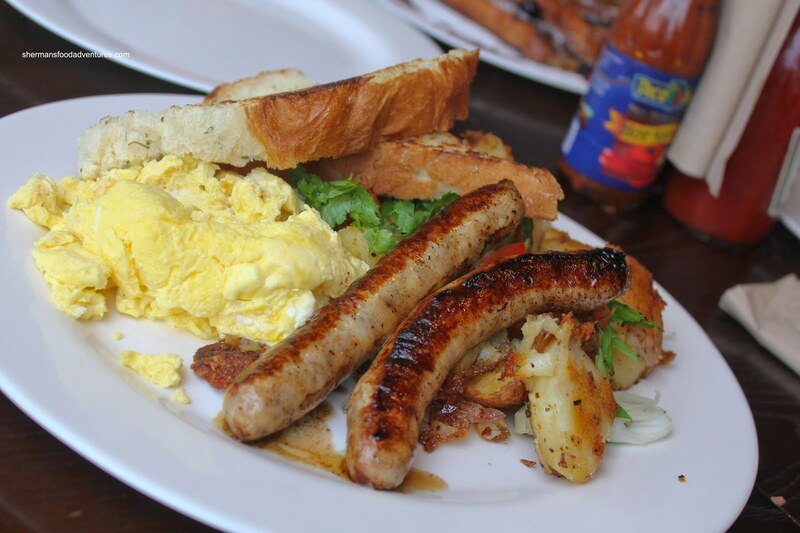 For the kiddies, we got them the Apple Sausage and Eggs. As the name of the plate suggest, the star was the sausages. They were bursting with sweetness, in particular, a peppery kick. The meat was moist while still exhibiting a bounce texture. The accompanying scramble eggs were fluffy and the rosem ary potatoes were soft inside and crispy outside. For myself, I went vegetarian with the Soy Chorizo & Eggs. As expected, it was not a heavy breakfast consisting of soy chorizo scrambled with eggs, served with black beans, cheese, chipotle crema & flour tortillas. 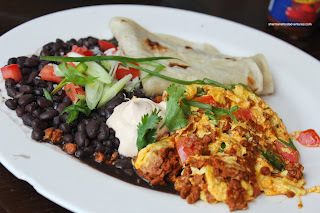 The soy chorizo scramble was quite good with fluffly eggs and decently masked tofu product. Overall, the rest of the plate was a bit plain. Now, to be fair, breakfast can only be so exciting. Hence, we weren't really "wow'd" by anything. 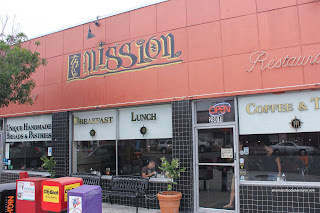 The bottom line is that the food was good and the prices were reasonable.